Representatives of the Nueva Fuerabamba community, Minera Las Bambas and Peru's national government. Photo by the Ministers Cabinet of Peru. Both the miner and the community expressed their willingness to sit down and solve the conflict by revisiting the terms of a series of agreements that were signed when MMG took over the operation and by assuming new commitments. Amongst those new commitments, the Nueva Fuerabamba community agreed to restore free transit on the national highway called Corredor Minero del Sur, which cuts through their farmland. The use of the road by the mining company sparked the conflict, as protesters were saying that the government illegally turned the road into a national highway to be able to ink a deal with MMG. 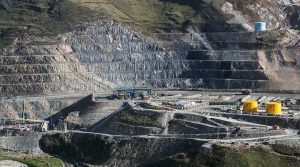 But the miner rejected such allegations saying that the Ministry of Transportation and Communications confirmed that the blocked way was declared of public use in 2008 at the request of district, provincial and regional authorities, while the Nueva Fuerabamba community was adjudicated the nearby farmland later on, in 2011. Despite the opposing views in regards to the road, the Nueva Fuerabamba leaders promised this weekend to unblock it as well as the access to Las Bambas operation. They also said they won’t prevent workers and vehicles from moving freely in and out of the mine. Minera Las Bambas, on the other hand, committed to employing workers from the community. The company also vowed to honour unfulfilled promises established in a Compendium of Agreements signed on December 29, 2009. 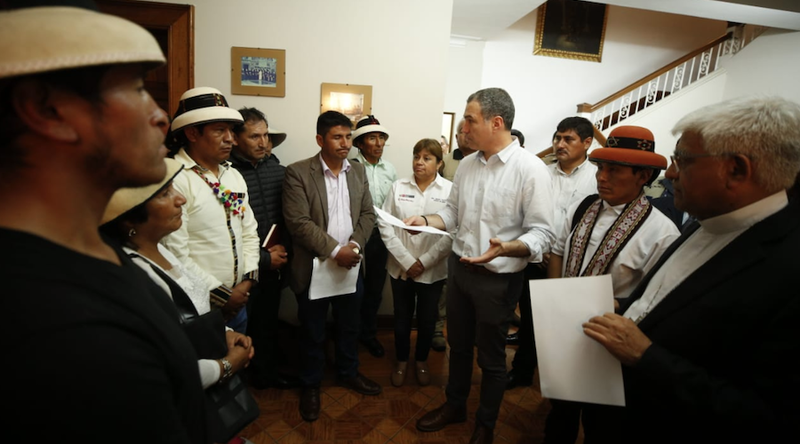 Finally, the Peruvian government assured that it will increase its presence in the area to guarantee that local communities’ rights are respected and protected. The terms of the deal were written in an official letter signed by the Chief of Cabinet, Salvador del Solar; the president of the Fuerabamba community, Gregorio Rojas; Las Bambas’ General Manager, Edgardo Orderique; and the president of the Episcopal Conference, Miguel Cabrejos. Las Bambas is a joint venture project between MMG, a wholly-owned subsidiary of China’s Guoxin International Investment, and CITIC Metal Co. Ltd. MMG owns 62.5% of the project and is in charge of operations at the massive copper mine that spans the provinces of Cotabambas and Grau. The mine has an annual nameplate throughput capacity of 51.1 million tonnes and in 2017 it produced 450,000 tonnes of copper concentrate or about 2% of the global supply.